Simply Refined is a lifestyle blog, not just a style blog. And few people have had such vision and have inspired as a great a dedication to a lifestyle as Mr. Steve Jobs. He will be greatly missed, and here’s why. We live in an age of brands. Everything is branded. It’s not a particularly recent phenomenon, but it’s here and probably to stay. The brands you choose in the marketplace say something about you and who you want the world to think you are. Pepsi or Coke. Ford or BMW. Mac or PC. I’ve been a Mac person my whole life – to me a computer has always been an Apple product - and it would be easy for me to take this for granted. But I don’t. Sure, brilliant marketing has something to do with it, but I think it goes beyond that. For whatever reason, calling myself a “Mac person” is something I do, too earnestly perhaps, with a bit of pride in my voice. And for this I credit Steve Jobs. Chris Callis over at Men of Habit did a great job expressing Mr. Jobs’ branding brilliance yesterday, but that’s not the road I’m heading down. The unified Apple “look” that keeps my phone, computer, and desk looking like a single unit is certainly alluring, but it’s not the whole picture. Apple products don’t just look a certain way they feel a certain way. They feel like they were made just for you. Steve Jobs’ brilliance from the very first graphic Mac interface to the iPhone and iPad was to make the tool as absent as possible. No fiddly extra buttons, no complicated sets of menus or commands. You point, you touch, you flick. YOU do these things. Your Macintosh, Powerbook, Macbook, iPad, and iPod are all about you not the technology itself. Steve Jobs seemed to believe that we’re each capable of doing something great and his company is all about giving each of us the tools to achieve that greatness. The iPhone’s and iPad’s blank glass screens are like brilliant bottomless-pits of possibility. It sounds really trite, but my Apple products let me interact with the people important to me, explore the world, and participate in culture with minimal intervention. From the early days of Think Different, Steve Jobs has been the high-priest of innovation. He really did, with no exaggeration intended, change the way each and every one of us interacts with the world. Mac user or not, if you touch a computer, make a telephone call, listen to music, watch a film, or are even reading this blog post, Steve Jobs has had an impact on your life. And you’re probably better off for it. 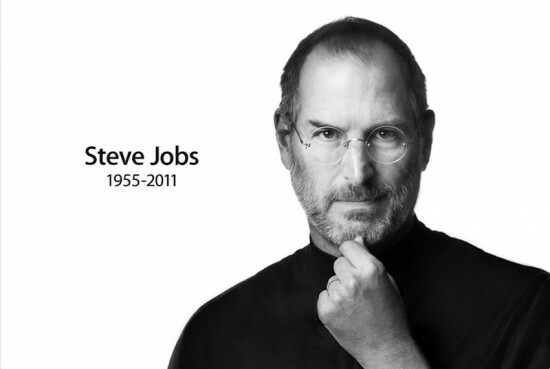 Mr. Jobs, you’ll be missed. Your never-ending commitment to better the world through looking at it just a little bit different will be missed. Your consistent delivery of the seemingly-unimaginable will be missed. And most of all, your dedication to providing people with the tools to make their dreams realities will be remembered each and every day. And that’s why I’m proud to call myself a Mac person. ….it’s about taste which transcends all that we do, wear, are.